There’s been a lot of talk about the #Janus ruling. As usual, Chalkbeat did a pretty thorough article that you might want to read – http://www.chalkbeat.com/posts/co/2018/06/27/colorado-teachers-unions-will-feel-a-limited-impact-from-the-supreme-courts-janus-decision/. For Jeffco specifically, there won’t be a difference. All teachers have benefitted from the work of the volunteer leaders of JCEA and the staff for some time, whether they were members or not. There’s a lot of bad information being spread and that has specifically attacked unions in Colorado over the past many years. Dues paid by members of JCEA come out of their own pockets, the paychecks they earn – just like groceries or car payments or taking their families to a movie. Not one dime is taxpayer dollars. This is the money they earn for doing their jobs, to do with as they please. Member dues go to pay for staff, electricity, water, phone and internet service, and the office building they so kindly loan to so many community organizations when we need a meeting space. Those dues do not go to support candidates. There is a separate and optional fund of $2 per month that members can pay to help support candidates that CEA and JCEA endorse. That’s a total of $24 per year and members can opt out of that if they so choose. By joining, members are able to obtain insurance and required professional development classes required by state licensure at discounted rates. Schools that do not allow their staff to participate in the association due to waivers are paid considerably less and can be required to work more calendar days per year than all other staff. Schools that do not allow their staff to participate in the association due to waivers can require staff to work more hours and to attend more meetings. Schools that do not allow their staff to participate in the association due to waivers can pay employees doing the same jobs differently. Another issue that often raises eyebrows and inequity is the hiring of family members at these same schools, or friends of friends. As we saw at RMAE not too long ago (when 4 educators were randomly fired without cause for speaking out to take care of their students), executive directors can make negatively impactful decisions by firing staff on the spot, whether or not personnel exist to take care of the students who will be arriving the next day. In that case, students were left without qualified teachers and many families left the school after searching for space in their neighborhood schools. Thankfully, those educators were reinstated after a few tumultuous weeks but the situation caused extreme stress for all involved. Far beyond teacher associations, there are similar issues for all employees working at companies without unions. As most people have experienced at some point in their lives, not all bosses are fantastic and employee treatment can vary from one company to another, just as it does in schools. Many legislative issues are bounced around every Capitol each year, some favor companies and some favor employees. It’s easy to figure out why companies would not favor unions or the collective power of many people standing together making demands. Companies tend to use their money to lobby legislators for bills so they can make more money, employees have only each other, their voices, and their votes. Thankfully, companies don’t have the right to vote! Many companies who choose to work with unions also see value in negotiating with one small group for basic work conditions and wages though negotiating is always a compromise and there is a natural give and take process. For most of those companies, the relationship remains amicable most of the time. SJK is simply a volunteer-based, grassroots nonprofit. We are mostly parents and community members, but also retired educators, current educators, current and retired classified staff, and current and retired administrators. Some volunteers are members of the union and some are not. We enjoy a friendly relationship with JCEA and CEA and intend to continue those valued friendships with many in their associations, but we are not part of the union. We see our educators and staff vilified by other groups, especially those with an agenda of privatizing education and we will stand by them to ensure their voices are heard as well as all other education staff, including administrators. 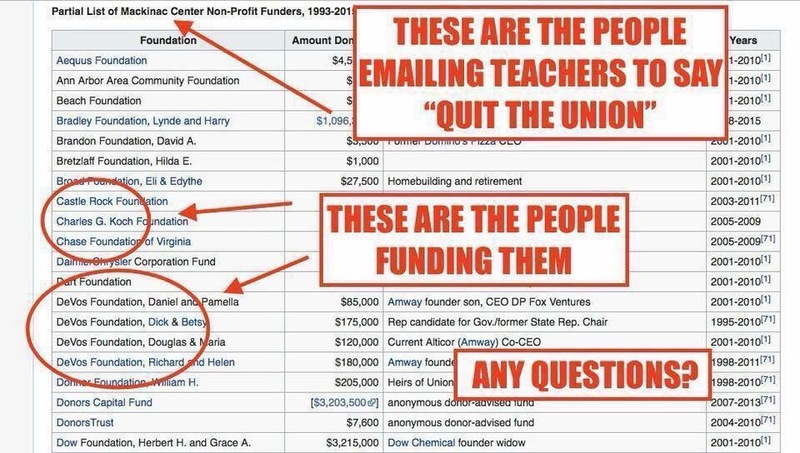 The organization in this picture (the people emailing teachers to quit the union) employs one of those from the Independence Institute that we fought against leading up to the 2015 recall, their values are the same in Michigan as they are in Colorado and across the country. We don’t always agree with CEA or JCEA but we appreciate when we have opportunities to work together as well as having meaningful conversations when we don’t agree. They’re all very nice people and always willing to have conversations, with anyone! This “union” is comprised of the teachers who are spending their days with our children; the paras that take care of accidents on the playground, the bus drivers who deliver our children safely to school, the custodians who help us set up and clean up for PTA events, the facility managers who clean up debris and ice during the winter that could harm our children, the electricians who ensure that our children are warm, the security staff who ensure our children are safe, the carpenters and facility staff who ensure our children are dry, and the school secretaries who cheerily greet us as we come into the school. They love our children and they take care of them every day during the school year. For any parent, this is a no-brainer! We support our education staff! 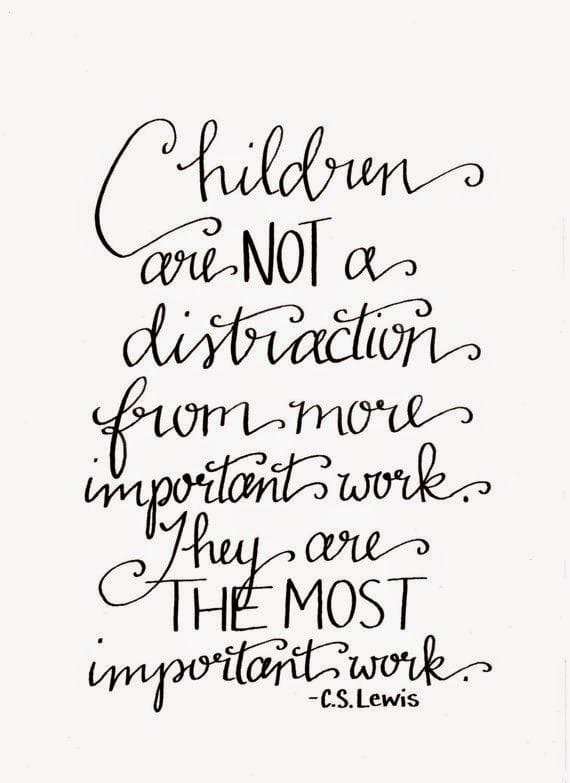 The work conditions of our education staff are the learning conditions for our children. We’re for classrooms, NOT corporations, when it comes to our children. We are stronger together and that helps to Support Jeffco Kids and Colorado Kids!